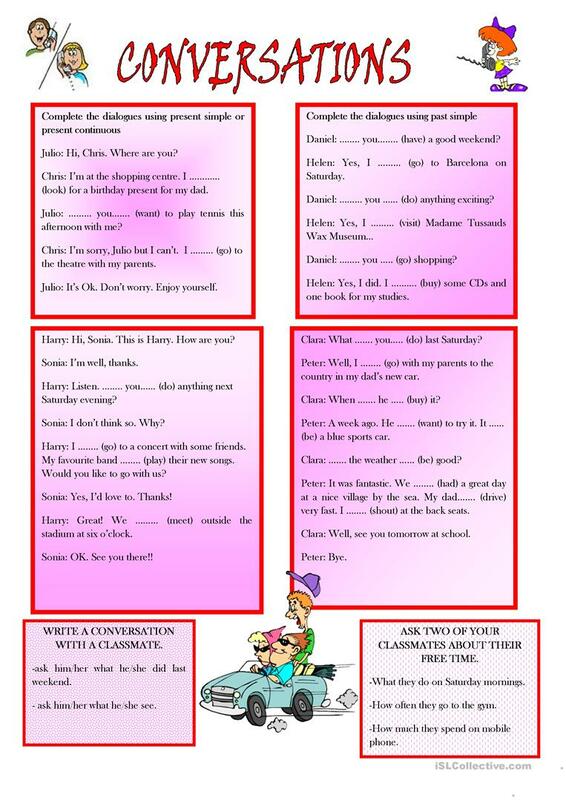 Practise of present simple and continuous, past simple. The present downloadable worksheet is recommended for high school students and elementary school students at Elementary (A1) level. It is valuable for revising Present simple vs continuous (progressive) tense in English, and is excellent for enhancing your groups' Speaking, Reading and Writing skills.